Forget your remote control. 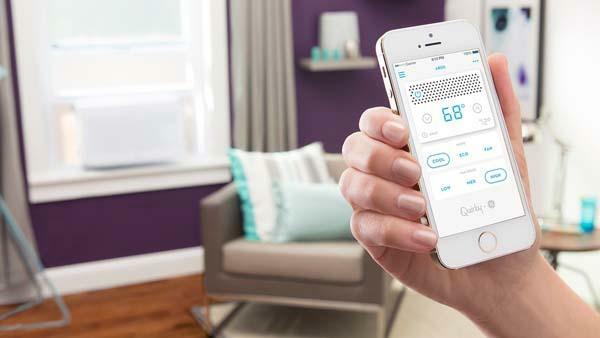 Aros provides a smart way to control your air conditioner and show you the status of power consumption. Curious? Let’s keep checking the Aros smart window air conditioner. The Aros is an innovative, affordable and smart air conditioner that fits double-hung widows 24.5″ to 40.5″ W x 13.5″ H. As shown in the images, the window air conditioner sports an elegant and stylish style in order to easily match your home decoration. 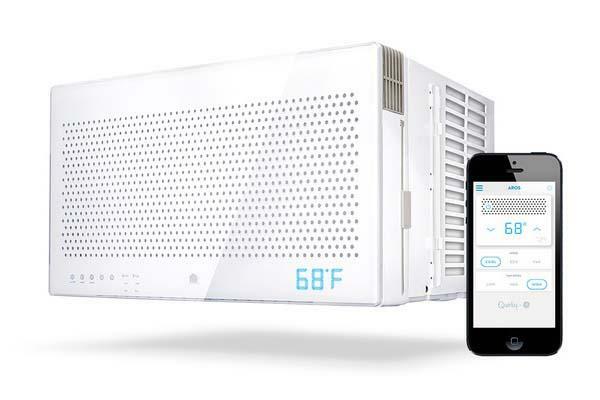 Most importantly, the air conditioner features built-in WiFi so you can join it into your local network and connect the air condition with your smartphone, while custom designed application will bring vacuous smart functions to the AC unit. For instance, Aros can monitor its power consumption and offer suggested settings based on your budget and the upcoming weather info, it also learns from your patterns to cool when you need it or not when you don’t, moreover, the air condition predicts the temperatures you like. When you leave or return home, it can turn off or on automatically. Apart from that, its unique upward airflow offers comfortable cooling and increase circulation. 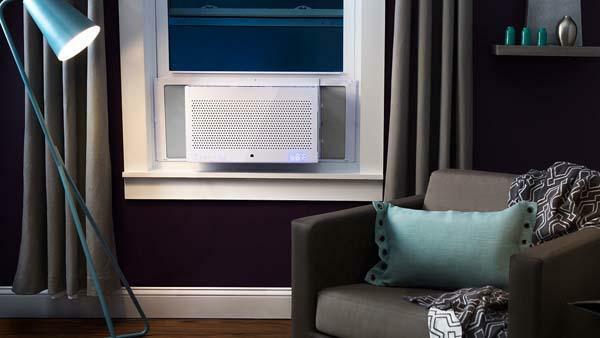 The Aros window air conditioner is priced at $599 USD. If you like the smart design, jump to Amazon for detailed introduction or have a look at the following two videos first. Additionally, if you need a way to turn your AC unit into smart device, you may also like to check Tado° Cooling smart adapter.